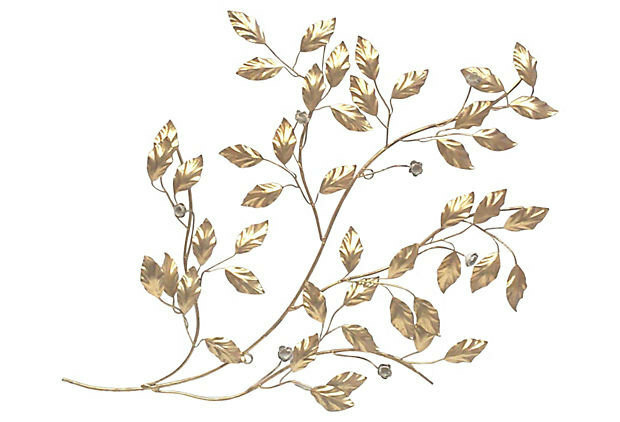 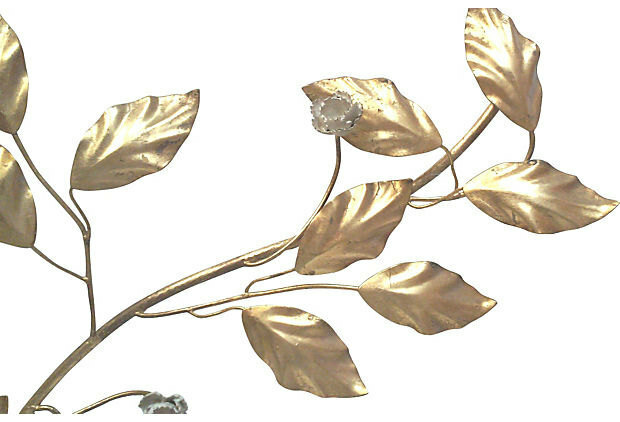 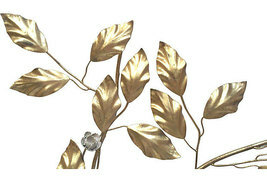 Hollywood Regency Italian gilt tole wall sculpture of a large branch with gilded leaves and white flowers intermittently placed throughout. 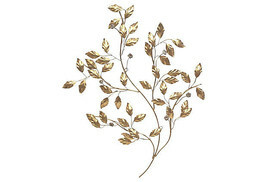 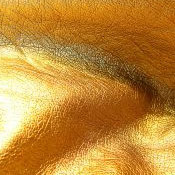 This large scale gold tole wall hanging is spectacular and will make a wonderful statement piece on a large wall, over a fireplace or hang with clear fishing line and float between rooms for an unusual room divider. 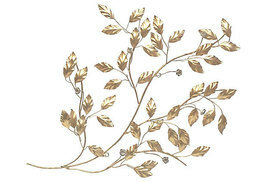 The Italian tole wall hanging will blend well with Hollywood Regency, Traditional and Chinoiserie style spaces. DIMENSIONS-42"L X 30"w; can be hung vertically or horizontally CONDITION-Good vintage; no damge or missing leaves, branches or flowers.